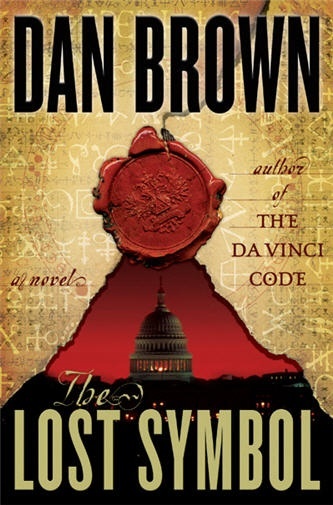 Stayed up the whole night to finish reading Dan Brown’s latest thriller The Lost Symbol. By some bizarre stroke of coincidence, the beliefs I’ve recently come to hold, prior to reading this, actually form the fundamental premise of the plot. I have not only been enlightened by the facts of this thoroughly researched fiction but also have my personal faith strengthened. For those of you who haven’t read it, I urge you to do so with an open mind. For those of you who have, please share and tell me what you think. Some time ago, I tweeted that I would like to wake up with coffee and my Kindle and a dog, all of which don’t exist except for my Kindle. Some people actually thought it was a person. Well, I would like to formally introduce “him” to all. Here’s my 4-month old toy — an e-book reader. I ordered the Kindle 2 from Amazon before I went to the States for a holiday in June this year. Right now, it’s said to be available internationally, but still only limited to certain countries and not in Singapore. If you want it that bad, you can sign up with vPOST and have them deliver your shopping from US websites to you. Back then, I contemplated getting the Kindle DX, because it has got a larger screen and you can have scanned documents and articles in .pdf format loaded into it, but then I thought it wouldn’t be as convenient to bring around as the Kindle 2. If I need a separate bag for it, then it defeats the purpose. Besides, do I really have the time to scan my scripts page by page and then load it into the device? No. My Kindle 2 with a leather cover bought separately. The Kindle 2 can contain up to 1500 e-books, so you are essentially lugging your library wherever you go. It is great for people like me, who would sometimes read two, three books concurrently, depending on my mood for the day. It’s light (compared to hardcovers) and compact. Most importantly, you do not have to worry about dog-ears or people judging you based on what you’re reading. It takes some time to get used to reading from a screen but it is very easy on the eyes. There is an in-built dictionary, so whenever you come across a word that you are not familiar with, you can move the cursor to the word (by using the navigation button located on the lower right section) and find out its meaning immediately. There is also the option for you to highlight words or paragraphs, make notes and then access them later on. When you switch off the device or go to the homepage to access other books, the Kindle 2 automatically leaves a bookmark on the last page you were reading, so when you turn the device on again or click on the title of the book you were previously reading, it will bring you back to where you were last. And because the books can be bought online at any time, my friends can be talking over dinner about some book they’re reading and I can go home, get online and purchase it straight away. And before you do that, you also have the option of downloading free samples of the e-book you want to preview first. Once you’ve purchased an e-book, it is stored in your Amazon account forever, so you don’t have to worry about losing it. Purchasing e-books are not only cheaper, but also more environmentally friendly. The Kindle 2 has a pretty decent battery life. I carry it with me most of the time, so I can read while I’m waiting on set, on the plane, or whenever I need to kill some time. Some people have asked me, “Don’t you like to feel the pages?” Sure, there are some books I would like to buy and keep, but most novels I have are stashed on the shelf after reading. With this, I don’t have to constantly find more shelf space. Compact and light-weight. More practical than the Kindle DX. The Kindle 2 only allows e-books in their format. So far, I don’t have a problem with that because Amazon does carry a wide range of e-books. The device is extremely user-friendly if you are located in the US. There is a special free wireless network connection that allows you to browse Amazon.com and purchase e-books with just one-click anywhere you are in the US. I tried it while driving through the desert in Las Vegas and it worked! However, you need to also have a US bank account and credit card in order for the 1-click purchase to work. Otherwise, there will be message that pops up telling you that due to your geographical location, you are unable to purchase the e-book. Now because I do not have a US bank account and credit card tied to a US billing address, it is a laborious process trying to buy e-books, so perhaps it might be more worthwhile getting a universal e-book reader made by other brands. The Kindle 2 does not come with a back light, so you will not be able to read in low-light conditions, unless you purchase a separate book light. Also, since it’s an e-book, you pretty much can’t loan out the titles you have read, so it’s not good for sharing. If you’re not someone who reads a lot, this might be a white elephant because the savings you get from purchasing an e-book will not outweigh the cost of this device in the long run. You are probably better off going to a second-hand bookstore or buying used books off Amazon/eBay etc. This applies for people who live outside the US, do not own a US billing address/credit card and do not have friends who fall into the categories mentioned. For me, I live outside of the US, do not own a US billing address or credit card, but do have a US shipping address. 2. Purchase a gift card with your non-US credit card. 3. Redeem the gift card. The amount will go into your balance. 4. Go to Your Account and un-check your 1-click settings. 5. Go to the Kindle book you would like to purchase and purchase it using the credit from your balance. 6. If your purchase is successful, it means you have the e-book now permanently in your Amazon account. If you are still limited by your geographical location, it means you need a US address. You can do so by signing up with vPOST. Check their website for more details on how to have your very own US shipping address. 7. Go to Your Account. Click on Manage Your Kindle. Scroll down and you should see Your Orders below. You have the option to Transfer to Computer. The e-book file will be sent to your computer. 8. Plug your Kindle 2 into your computer using the USB cable provided, then drag and drop the file from your computer into folders of the Kindle 2.